Vegas' inaugural NHL draft has come and gone and they had three draft picks within the top 15 of the first round and 12 total picks in the entire draft. Vegas' top three picks set their prospect depth up right from the start. And adding long-term talent and a few goaltenders will only help them de3velop players in the long run. 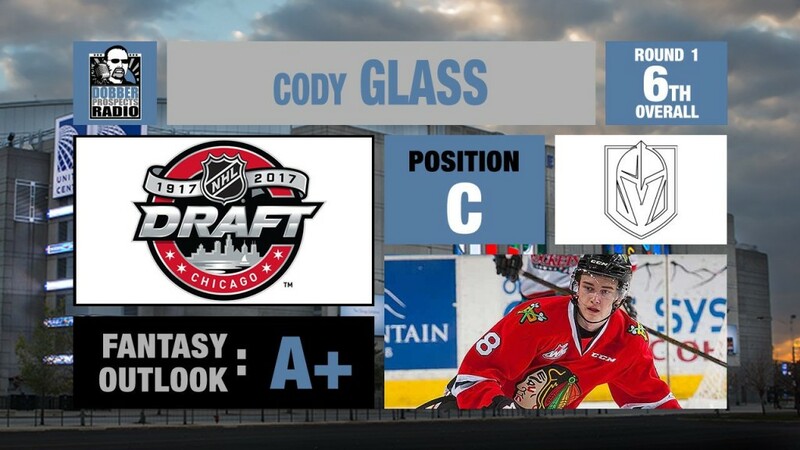 With the first ever entry draft pick the Vegas Golden Knights selected Cody Glass from the Winterhawks. At the beginning of Glass' draft year, Cody had a couple tough situations to deal with, being cut from the WJC Team Canada roster after losing his grandmother in the off-season. Glass took those hard losses and turned it into motivation to compete this year and prove he was worthy of a top 10 draft pick. Glass finished the year with 94 points (32-62) in 69 games. Having coach Mike Johnston return to the team also benefitted Glass by letting him go out and play his game and dominate offensively. Glass also competed for Team Canada at the U18 World Championship and was a point per game player with 3 points (2-1) in 3 games played. Glass is a top 6 talent and will need to continue develop his game for the NHL. Vegas will take their time with Glass and all of their draft picks to make sure the player is ready for full-time NHL duties. Glass will be an NHLer within two to three years and be fantasy relevant as soon as he makes the Golden Knights roster. Vegas picked a gem here. Suzuki is an unbelievable talent who works hard every shift but plays within the rules. Nick takes very few penalties (10 PIMS last year), but can put his name on the score-sheet, 45 goals, 51 assists in 65 games. He has a terrific work ethic and likes to possess the puck. Suzuki may not seem large in stature, but plays a big man's game and is hard to knock off the puck. He plays a very smart game and has very good hockey sense. Nick is a high valued fantasy player and should be a top 10 pick in your fantasy entry drafts. Brannstrom should be a highly touted fantasy defensemen. He may not be the biggest defensemen, standing 5'10, 172 lbs. But his offensive ceiling is incredibly high. Vegas took him 15th, but within a few years he could look like a steal at 15. He is an excellent skater and can move the puck very well. He already plays a good defensive game, so it won't take much to improve it within a few years. 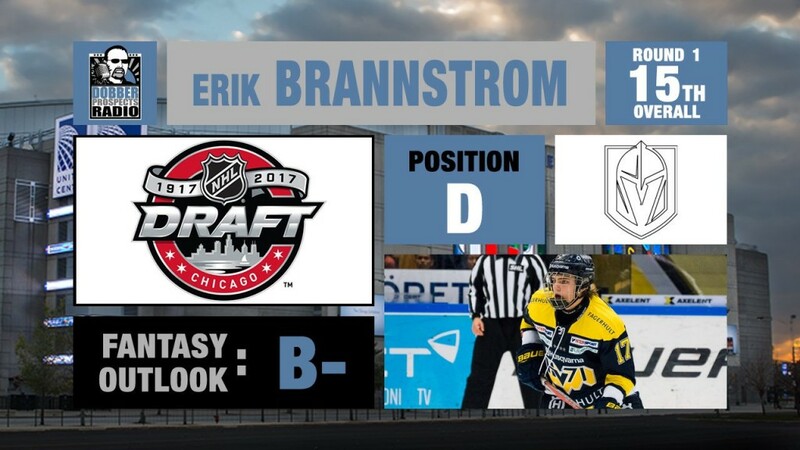 When Brannstrom makes the NHL, two or three years, he will be a hot commodity in fantasy hockey, make sure you follow his progress closely or get him on your farm team as soon as possible. He may fall to you in the late second or early third round (20-30th overall) of a 12-team dynasty league entry draft. Nicolas Hague may not be a top priority in fantasy hockey , unless you are playing with hits, blocks and penalty minutes. Hague is better known for his defensive hard-nosed game, but can also chip in some points on occasion. Hague won't be a top powerplay minute guy, but will log a lot of minutes when he does make the Golden Knights. Hague will be headed back to the Steelheads for at least one more year and likely turn pro and play a few pro seasons in the AHL for Vegas' affiliate Chicago Wolves. Don't be too concrened if you miss out on Hague, but if you are wanting to target him in your dynasty drafts that include the extra stats (Hits, Blocks, PIMs), look for him in the 35-40 overall range and if your league doesn't have those extra stats than look for him much later. If he goes earlier than 35, let that manager sit and wait on him for several years. Jake is son of former NHLer Curtis Leschyshn, Jake plays a similar style of game as his father, a strong work ethic and an high-octane motor. Jake can sometimes cross the line, but usually is able to stay on the right side of it on most shifts. The worry with Jake is his injury he suffered in February of his draft year. He suffered a torn ACL and has been recovering on a six-month rehabilitation to be ready for training camp in September. 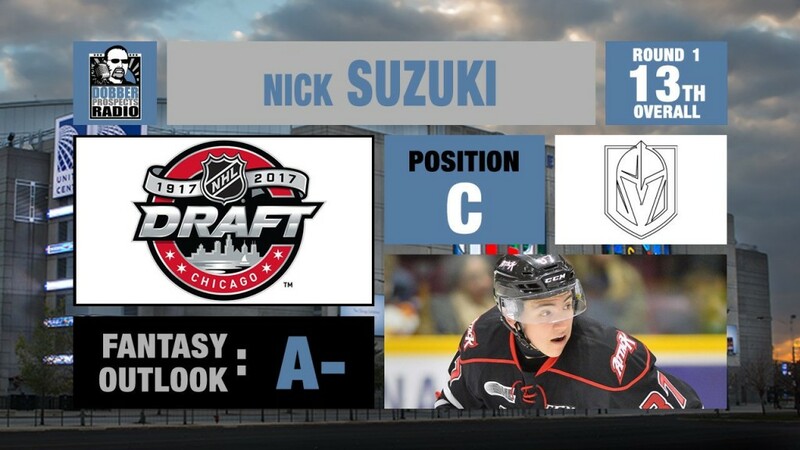 He was projected by many draft analysts between the late first round and late second round and ended up falling to the very last pick of the second round to the Golden Knights. Vegas took a chance on Jake and are hoping he can fully recover from his injury and continue to develop into a great role player in the future. Jake has the ability to move up and down the lineup when needed, but will likely see most of his ice-time in a bottom six role. Leschyshn will be a player on the cusp of most league free agent waiver wire players who will get picked up when he is put on a scoring line and dropped when he moves back down the lineup. Drafting Leschyshn is purely for depth scoring and shouldn't be taken any time before 60th overall. Rondbjerg played most of his draft season with the J20 team in Vaxjo, but was able to play five games for the Men's team, but was held of the score-sheet. Jonas needs to put on more weight, at 6'1", 196 lbs. and continue to develop his two-way game that Jonas is best known for. He could also work on being stronger physically if he wants to play in the NHL. Rondbjerg is a long-term project for the Golden Knights and will take several years to get a sniff at the NHL, when he does get a chance it will be in a bottom six role displaying his play in all three zones. 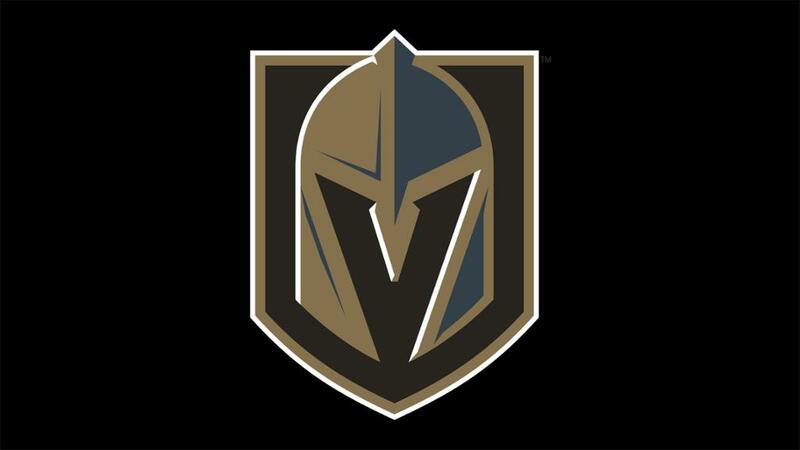 Vegas took their first drafted goaltender in the fourth round, which ended up being Zhukov of the Green Bay Gamblers in the USHL. Zhukov was targeted by Vegas, Peter Harling and I had a quick talk about it on the DobberProspects Radio podcast. Lucas is best known for his playmaking skills, everywhere he played he nearly doubled his goal total with assists. In his draft year, Elvenes scored 45 points (15-30) in 41 games in the SuperElit league. When he was given a chance in the SHL, 12 games, but didn't record a point. Elvenes has the skill to eventually play in the NHL, but he needs a scoring line role. If/when he gets a mid-six role he will be fantasy relevant. Dugan is fresh out of high-school, scoring 93 points in 47 games, Dugan is headed for the Chicago Steel of the USHL and is attending Providence College in 2018-19. Dugan will need to develop his defensive game, but has shown he has a ton of offensive ability. He could also add some size to his frame, standing 6'2" and 185 pounds. Dugan tries to play a style of game like Jamie Benn. If he puts on some muscle and weight he could become a power forward in the future. A long wait for Jonathan Dugan. Nick Campoli is headed to Canadian University, Clarkson University, Nick at this time has no fantasy relevance, but could be an ECHL/AHL depth player to continue his hockey career. Check back in with Campoli after his University is complete. I will be the first to admit I don't know very much about Patera, you may see his name at the WJC for the Czech Republic. Ben Jones is headed down the path of being a third or fourth line pivot. If he continues to be excellent in the faceoff circle he could find a roster spot in the NHL as a faceoff specialist. Keegan Kolesar – the power forward showed his scoring touch, scoring three goals and played well alongside Cody Glass. Reid Duke – he is finally happy to have teammates, Duke was the first Golden Knight in franchise history, but he finally got the chance to get on the ice with several other Golden Knight prospects. The Golden Knights brass are really excited about Duke, he is a fan and manager favourite. Alex Tuch – is a leader among prospects, at camp he showed his experience from several previous camps with Minnesota. Tuch wasn't invited by the Golden Knights, but Tuch showed up anyways. Alex wanted to be a part of a new era of Golden Knights. Tuch was definitely the most experienced prospect in camp and he it showed, he is ready to make the next step to the NHL. Thanks for reading and I hope you enjoy the rest of our July 31 in 31 seires. Be sure to check back in August with our August 31 in 31 where we go over the entire prospect pool for each and every team.